The American mink is a predatory, semi-aquatic, medium-sized member of the Mustelidae—it is an invasive species in the UK, and common on rivers that flow through lowland farmland (in areas where it is not controlled). Our research has examined the mink’s behaviour and ecology in the Upper Thames Valley.. On average, male home ranges are larger than those of females, but some individual male ranges are small. 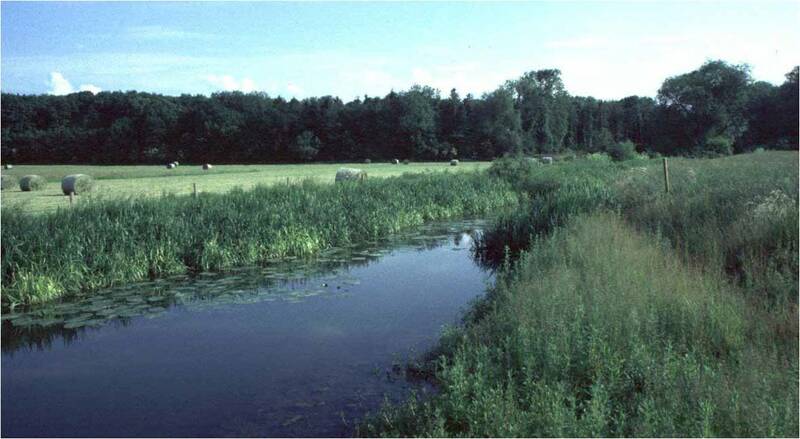 Male and female home ranges contain similar habitats, but habitat use within them differs—females exhibit an apparent preference for the riverbank, males for woodland, which suggest the possibility of differences in dietary preferences, and this suggestion is supported to some extent by differences in diving behaviour. 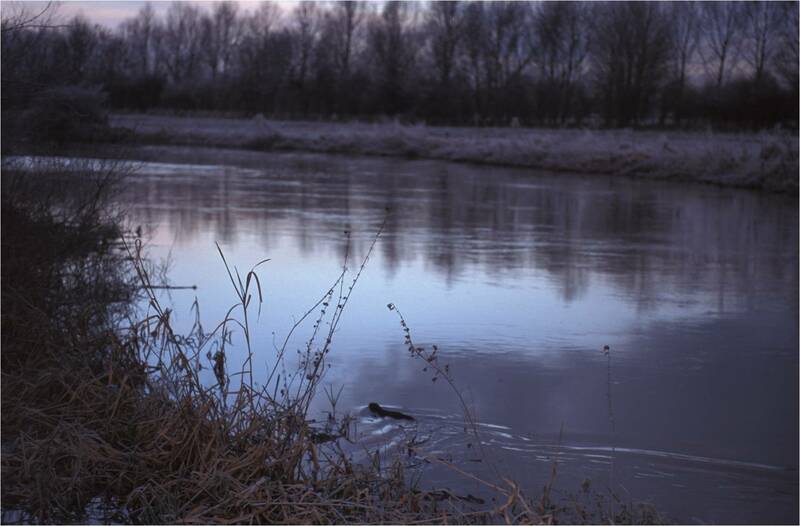 Females generally dive more than males, particularly when it is cold (which is presumably energetically costly for mink, but coincides with a time when endothermic fish are relatively easy to catch). However, small sample size and brief snapshots of behaviour mean that apparent sexual differences can, in many cases, be equally well explained by individual differences. Males abandon their home ranges in the mating season, during which females mate with multiple males and give birth to a single, multiple paternity litter (facilitated by superfoetation—fertilization of ova from different ovulations in a single mating season—and a short delayed implantation, which provides the hormonal conditions for superfoetation). Thom, M. D., L. A. Harrington, and D. W. Macdonald. 2004. Why are American mink sexually dimorphic? A role for niche separation. Oikos 105:525-535. Barreto, G. R., S. P. Rushton, R. Strachan, and D. W. Macdonald. 1998. The role of habitat and mink predation in determining the status and distribution of declining populations of water voles in England. Animal Conservation 1:129-137. Yamaguchi, N. and D. W. Macdonald. 2003. The burden of co-occupancy: intraspecific resource competition and spacing patterns in American mink, Mustela vison. Journal of Mammalogy 84:1341-1355. Yamaguchi, N., S. Rushton, and D. W. Macdonald. 2003. Habitat preferences of feral American mink in the upper Thames. Journal of Mammalogy 84:1356-1373. Yamaguchi, N., R. J. Sarno, W. E. Johnson, S. J. O’Brien, and D. W. Macdonald. 2004. Multiple paternity and reproductive tactics of free-ranging American minks, Mustela vison. Journal of Mammalogy 85:432-439. Halliwell, E. C. and D. W. Macdonald. 1996. American mink Mustela vison in the Upper Thames catchment: relationship with selected prey species and den availabilty. Biological Conservation 76:51-56. Harrington, L. A., G. C. Hays, L. Fasola, A. L. Harrington, D. Righton, and D. W. Macdonald. 2012. Dive performance in a small-bodied, semi-aquatic mammal in the wild. Journal of Mammalogy 93:198-210. Bagniewska, J., T. Hart, L. A. Harrington, and D. W. Macdonald. 2013. Hidden Markov analysis describes dive patterns in semi-aquatic animals. Behavioral Ecology 24:659-667. Thom, M. D., D. W. Macdonald, G. J. Mason, V. Pedersen, and P. J. Johnson. 2004. Female American mink (Mustela vison) mate multiply in a free-choice environment. Animal Behaviour 67:975-984.